Every time we BREATHE with intention and shift our focus from the Ego's busy workings to the calm and quiet of the Observer state, new doors open to us. Doors of opportunity, of beauty, of joy, of grace appear out of no where because we have the power of presence on our side. When we breathe and pause in the present moment to connect to the Observer part of our consciousness, we step into a time that is not a time and a place that is not a place. In the present, we are able to bridge the gap between the Ego and our Higher Selves and benefit from the insight and information of both. New doors appear because our Higher Selves shed light on them and we are far enough removed from Ego's obsession with the past and future that we can see these doors as they open invitingly in the now. All we have to do is breathe, focus on what we feel now, ask our Higher Selves for a little light and guidance and eagerly await the answer. Sometimes the answer is very quiet and sometimes it doesn’t come the instant you ask. The guidance we receive from our Higher Selves can come in an infinite number of ways. 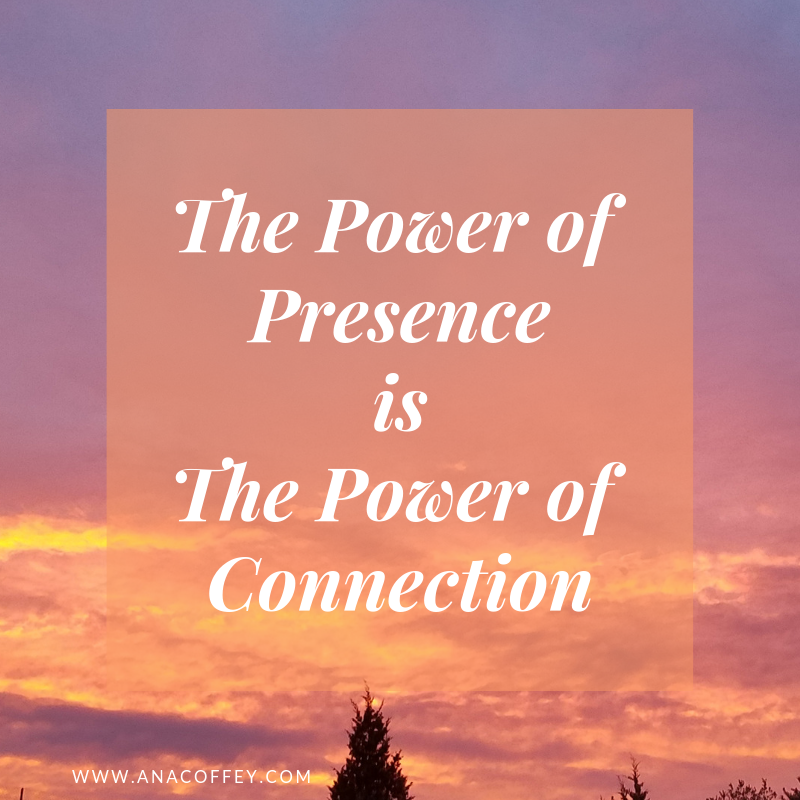 It can come through a conversations we happen to overhear between two strangers, or a blog we are reading, a video we are watching, or a billboard that we drive by. It doesn’t have to come in full sentences either, a single word or object or experience can be a key that clicks into place and jump starts your brain’s amazing process of making connections between pieces of information you already possess and drawing the exact conclusions you need. I like to think about being present like being in a classroom. Let’s say you are in a class trying to learn a foreign language. There’s a lot depending on you learning this language and you sit down and immediately start thinking about all the times you tried and failed to learn languages before and projecting about all the things that might happen if you can’t learn it this time and before you know it the class is over and you didn’t even realize it had started. The next day you go into the class you sit down and start to breathe, slow and deep. You quiet your Ego mind just enough that you can see and hear your teacher. You are still aware of your thoughts but you have stepped far enough back from them that you can observe them clearly and choose to focus on only the thoughts that help you learn. Being in this Observer state also gives you full access to all the knowledge of your teacher, who is there to give you all the information you need, as well as, all the resources in the room (including the other students in the room that starting walking through the door as soon as you decided to learn). Sometimes, the only information your Higher Self gives you is that you need to wait or you need to continue to practice being the Observer and connecting to love and that the information you are seeking will come in perfect timing. This can be a little frustrating, but that is where the power of faith comes into play, which is the topic of a different post. Sending all my love to you! Intuition Leads To Growth NOT Ease!